Hazrat sahib comes from a WalliUllah family. His great grand father name was Hazrat Chisti Mirza Gul Sahib Rahmatullah Alayh . His Urse Mubarak attracts hundreds of thousands of devotees every year. Khawaj Pir Rahmat Karim Sahibs father was also a great WalliUllah of his time and and his Shayk Shaykul Mashaykh Abul Hassan Sani Rahmatullah Alayh gave him glad tidings that he will soon be blessed with a son who is going to be by birth a WalliUllah and the King of all saints in his time. Khwaja Pir Rahmat Karim Sahib was born in Rabbiul Awal in 1946. Since childhood he never spoke ill or played with other kids. He always was busy in zikr of Allah and prayed his 5 daily prayers and reading Quran. He studied normal school til the age of 15 ,and left it in search of a Murshid as his love for deen was stronger. 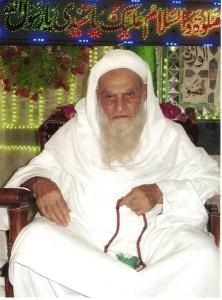 Whenever Shaykul Mashaykh Hazrat Haji Gul Sahib Rahmatullah Alayh used to give Khawaja Pir Rahmat Karim Sahib a wazaif he would progresses spiritually very fast .Hazrat Shaykul Mashaykh Hazrat Haji Gul Sahib Rahmatullah Alayh has a son whose name is Shaykul Mashaykh Shaykh Gul Sahib and is very dear to Hazrat Rahmat Karim Sahib, as they two are “Peer Bhais”. At the age of 18 Peer Rahmat Karim Sahib was given ijaza to open his own darbar. Sayyidul Aulia has 14 Tariqats/Silsilas and has ijaza to initiate a murid into anyone of them . Since the age of 18 he has attracted millions of people to the Path of Allah and daily miracles are witnessed at his darbar by his followers ,and all those come to seek his dua and blessing. He is such a WalliUllah , that whenever he supplicates to Allah, his dua is accepted. One special look from Hazrat Sahib can turn anyone into a pious muslim.He has countless murids throughout the world in Asia, Middle East,India , Afghanistan and Pakistan . Many Aulia Kiram has come and sought blessing from Khwaja Pir Rahmat Karim Sahib . 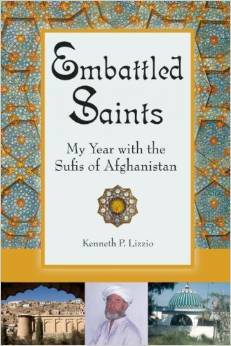 Among them to mention is Pir e Tariqat Alauddin Saddiqui al-Naqshbandi Mujaddadi Sahib from Naryan Sharif. Hazrat Pir Alauddin Saddiqui Sahib openly tells his own murids that if anyone want to be blessed with the ziyarah of a true present day “Saint” , then they should visit Hazrat Sahib. Every Thursday evening ( the evening of Zikr) at Hazrat Sahibs darbar , Sultanul Hind Syyedina Hazrat MohinUddin Chisti Ajmeri Rahmatullah Alayh , comes and visits Khwaja Pir Rahmat Karim Sahib and they have theyre private conversation with each other. Several times a year a 600 year old grandson of Hazrat Ghause Azam Radiyallahu Ta Ala Anu , Hazrat Suleiman Shah Gillani visits Pir Sahib. 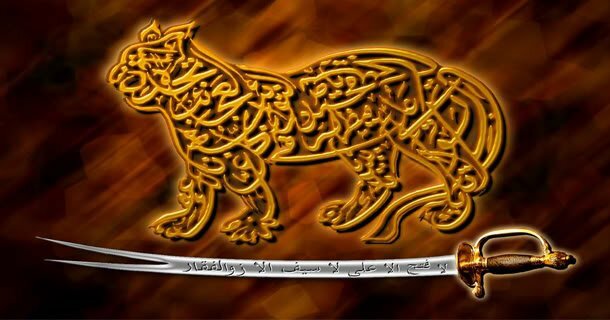 He is the one who will recognize Imam Mahdi Sahib when the time aproaches. With the permission of Allah Ta Ala ,Hazrat Sahib has performed many karamats( miracles) . One of the kiramats that I have witnessed with my own eyes are that from his body and his breath ,there comes naturally so sweet scent of Perfume,that I have never ever in my life experienced before. With permission of Allah Ta Ala he has raised the dead, cured blind people, people with leaprousy, people with different handicaps, and when ever he says something it comes true. Though Hazrat Sahib looks very Jalali , he is very Jamali of nature. He always smiles and talks very little. When he speaks , he speaks with very soft tone,that makes people heart melt. He is very genorus ,kind and loving.Even those who oppose him ,he is kind to them. Many nejdis/deos and shias has made Taubah at his hands and become staunch murids of his and adapted the way of Ahle Sunnat Wal Jamat. May Allah Ta Ala bless Hazrat Sahib with a long,healthy and prosperous life so many can benefit from the work he is doing for deen. May Allah Ta Ala protect him and all other Aulia Kiram( Sufi Saints) who are spreading the message of peace, love and tolerance among the creatures of Allah. Ameen,Summa Ameen!